Pre rolls – consumer ready pre rolled joints of marijuana, ready to smoke for your convenience, are a product that true cannabis connoisseurs normally pass on. That’s because most dispensaries roll their pre rolls with low quality cannabis. After all, these are usually used as new patient giveaways or bonuses. If you are luckier you will find pre-rolls made from shake, the small crumbs that break off from larger buds. Shake pre-rolls can be decent, depending on the stains that contributed to it. In most cases, the pre rolled marijuana you find will be a “salad,” in other words a mixture of many different strains. There is a new trend in the cannabis industry of premium pre-rolls and it’s a very good thing. Instead of just a way to use up otherwise unusable product, manufacturers are now producing pre-rolls with quality and care, using first quality premium cannabis. You can get today’s premium pre-rolls in a single strain, or augmented with concentrates. Different companies focus on different attributes, so you are sure to find a pre-roll that’s right for you. These extremely potent pre-rolls contain a half-gram of hash rolled into every joint. They come in a variety of flavors. Personally, I want my weed to taste like weed, not strawberries or some other artificial flavor, so I always go for the “original,” meaning no flavor added variety. 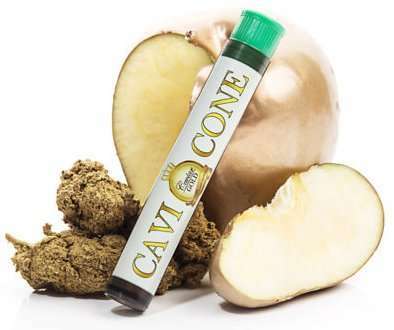 I can’t say the Cavi-Cone provides the smoothest smoke or the best flavor, but it is highly effective. The joint burned well too, which can be a challenge with hash infused joints so kudos for that. If your priority in choosing a pre-roll is maximum potency and a strong high, this is a hard one to beat. What a clever idea! These short little natural hemp paper rolled joints are just big enough to finish while walking the dog. But don’t let their small size fool you, Caliva has stuffed their Dog Walker pre-rolls with some of the most potent premium flowers around. You may be able to finish an entire joint by yourself while taking Fido out to do his business, but you will be feeling mighty good by the time you get home. 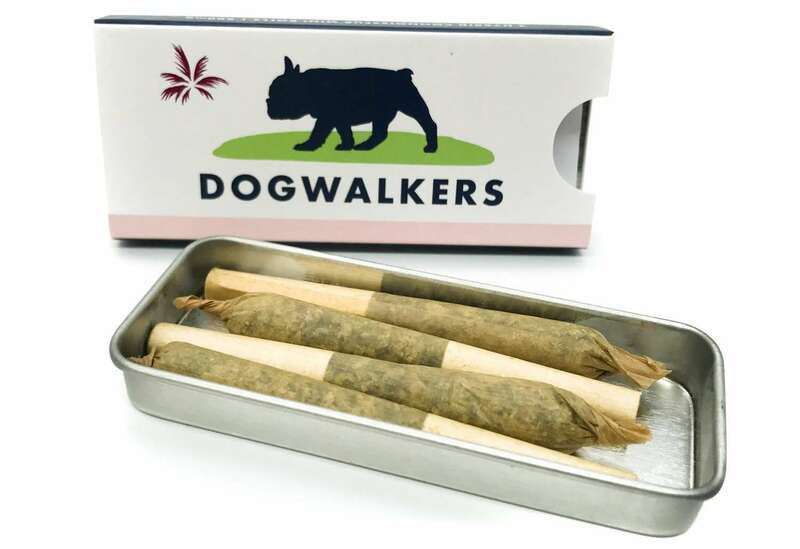 The cute little Dog Walkers tins, filled with 4 small prerolls, are among some of my all-time favorite cannabis product packaging. Dog Walkers are available in two varieties, a 20% THC Hybrid, and a CBD version that’s 15% CBD and 5% THC. Grown in California’s premier cannabis region, Humboldt’s finest pre-rolls are rolled from all bud, no leaf, natural sun grown outdoor marijuana. Available in singles or six packs consumers will find a number of single strain pre-rolls to choose from. I especially enjoyed the Cookies strain, and shared it with some guests who are not frequent smokers. The evening erupted into ongoing gales of laughter and a turbo-charged case of the munchies, but a great time was had by all. My guests could not wait to go out and buy more Humboldt’s Finest pre-rolls! My friends and I all count Lowell Smokes premium organically grown prerolls among our favorites. In fact, if I am going to buy a pack of prerolls, Lowell Smokes seems to almost always be my go-to brand. When I learned more about the company, I felt even better about my prerolls of choice. 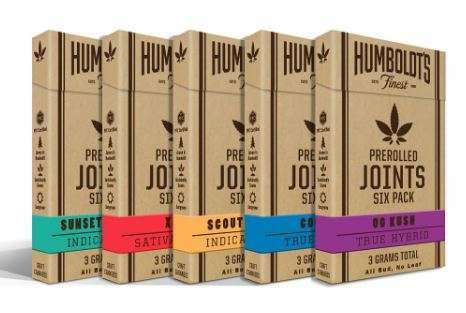 Produced from organically grown cannabis from a community of family farms, the joints are made from a curated seasonal blend and are available in indica, sativa, and hybrid. When a friend and I examined the lab test on some recent packs, the THC percentage was far lower than what we expected, because all 3 varieties of these prerolls delivered powerful highs, even to jaded heavy cannabis users. It just goes to show that THC potency does not mean everything and that the sum of the right combination of full plant cannabinoids and terpenoids can deliver more than its individual parts. 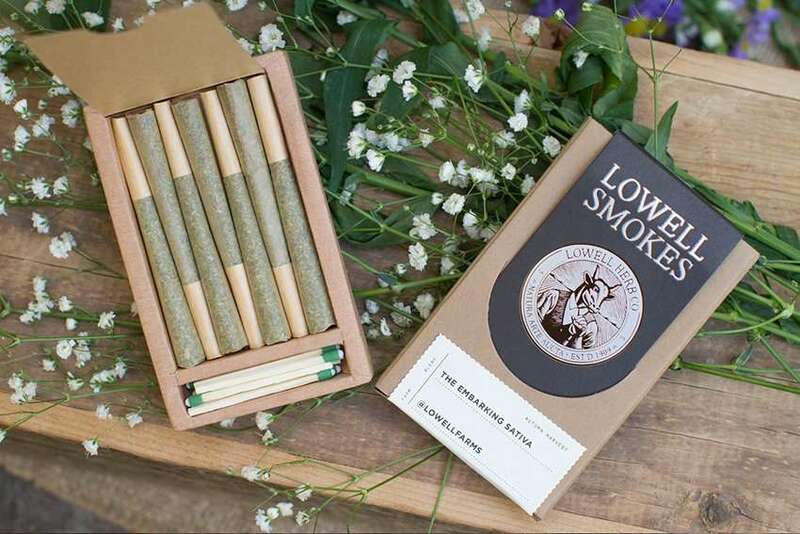 From the artisanal craft cannabis, to the natural hemp rolling papers to the elegant yet ecologically sound retro style packaging, a sustainable, natural, holistic approach guides everything Lowell does. 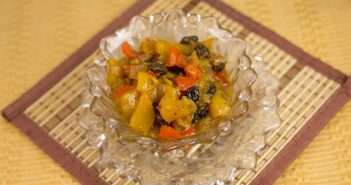 Available in packages of 5 or 10. To be honest I was not expecting much as I thought this brand to be all hype and marketing. 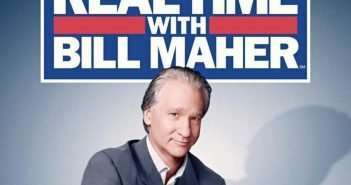 I have to say I was pleasantly surprised. 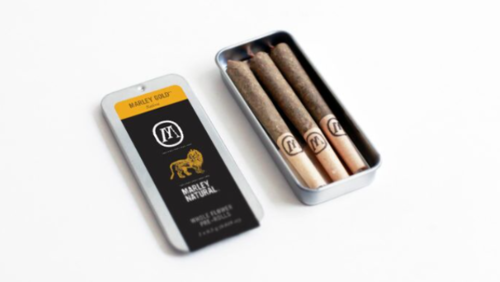 The Marley Natural pre-rolls come 3 to a pack, are rolled in natural unbleached paper with a crutch filter. The joints provided a smooth, tasty, potent smoke with a long lasting mellow high. At about $5.00 a joint the price was right too and they come packaged in a nice reusable tin.